Australian co-operatives are domestically owned, unlike their listed competitors which may be bought by overseas investors. 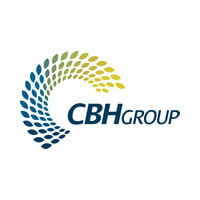 Co-operative ownership ensures that the production of strategic food assets remain in the control of Australians. Agriculture and fishery co-operatives are net exporters, making a positive contribution to Australia’s balance of trade. Facilitate independent Australian farmers to compete by providing access to markets. Agricultural co-operatives are groups of independent small businesses, who are working together to provide logistics, marketing and infrastructure in order to access markets in ways that they cannot alone. Family owned farms invest in road, rail and sea transportation operated through their co-operative, to ensure that their produce gets to market in as cost effective a way as possible. When independent businesses co-operate in this way, they can meet global competition from large corporates head on. Individual farm businesses all contribute to their regional way of life, maintaining business presence and contributing taxes through the success they generate from their co-operative membership. Co-operatives are not set up to maximise profits – instead they share wealth equitably among their farmer members in proportion to their contribution to the co-op. 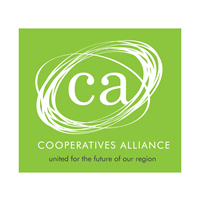 The Cooperatives Alliance is a group of agricultural, fishing and financial co-operatives in the Northern Rivers region of New South Wales. Members of the Alliance contribute more than $1 billion and 2,500 jobs to the regional economy.